Quick, quick, slow, slow. You don’t have to be a “Dancing with the Stars” Pro dancer to enjoy Two-Stepping. 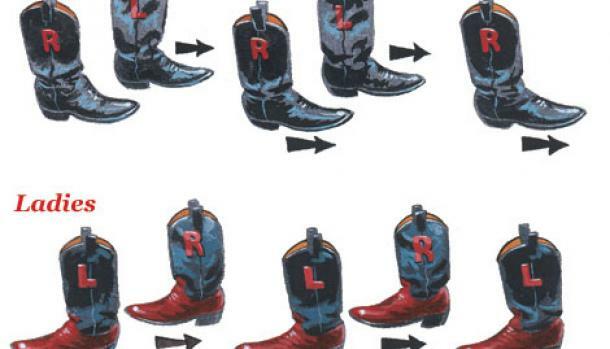 That’s why the Texas Two-Step is famous for being easy and fun. Seth Godin’s Three Step Marketing Ladder is almost as easy to follow – and almost as fun. Awareness, Education, Action. Yep, it’s that simple. You have to do your research, know your market, confirm your market wants what you’re offering and know where and how to best reach your market before you can do the Marketing Three Step. Is the pace similar to the Texas-Two Step? It depends. Awareness can be established quickly with outrageous events that are captured on video and go viral. But often, awareness is built over time, by establishing and building your brand consistently with your target audience. Education can happen at a variety of speeds, depending on complexity and innovation of your product or service. Action is the only step that the CFO is watching, so marketers want this step to be the quickest. But the action step won’t happen at all, if the first two steps don’t get done first. And they need to be done well. Missteps are no good for dancing or for marketing.